Will PES 2012 Become A Legend? Only Pro Evolutions fan, Adam Neaves takes a closer look at the Become A Legend mode, and suggests steps Konami should take to improve the gamemode for PES 2012. The title of this article says it all really; can PES 2012 really ‘Become A Legend’? I think many of you will agree that BAL is one of the most enjoyable offline game-modes in PES 2011 - of course, alongside the much acclaimed Master League mode. 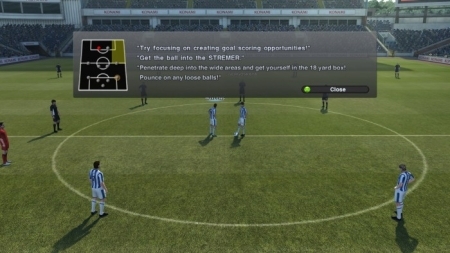 In my opinion, BAL gave me the feeling that I got when playing with my Virtual Pro on FIFA 11. I always want to come back for more, which for me, is the most important aspect of any mode in any game. I am not trying to turn this into a PES vs FIFA debate because this is a Pro Evo article exclusively. I am only referencing it as FIFA is the only other football game on the market, that has a BAL-esque game-mode. There were many aspects in which BAL succeeded, in my opinion. First and foremost, the A.I of your teammates were better than average. Most of the time, your teammates will pass to you in good situations or decide to wait until you make that telling run into the box. Alternatively, there are the off-the-pitch aspects, which include the following. Of course, the new Europa League and Champions League licenses have made playing in those special matches much more exciting. Like some of you I'm sure, I'm always motivated to play extra-well for my club in those particularly special matches. 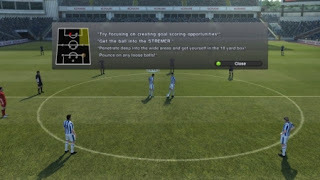 But how can Konami make this game-mode even better, in time for PES 2012? I believe they need to improve the animations, and also the gameplay - which on a promising note, we should all safely assume will be looked at by the PES team at Konami, who have always improved the gameplay each year. I'd most like to see is more interaction with the press, although of course, I would be happy if Konami implemented my other suggestions. Thank you for reading and I hope that you enjoyed my article. Feel free to leave a comment below.